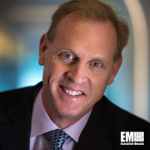 Deputy Defense Secretary Patrick Shanahan has released a memo that lays out the Defense Department’s plan to establish by 2020 a new “space force” that would serve as the country’s sixth service branch, SpaceNews reported Thursday. John Rood, defense undersecretary for policy, will work with the Joint Staff, military services’ secretaries and DoD’s legislative office to come up with a legislative proposal for the new space force for submission to the Office of Management and Budget by Dec. 1, according to a copy of the Monday memo obtained by the publication. President Trump has nominated U.S. Marine Corps Lt. Gen. Kenneth McKenzie, Joint Staff director, for promotion to the rank of general and assignment as commander of U.S. Central Command, the Defense Department said Wednesday. The corpsman commanded the 22nd Marine Expeditionary Unit in Afghanistan and Iraq missions from 2004 to 2006.